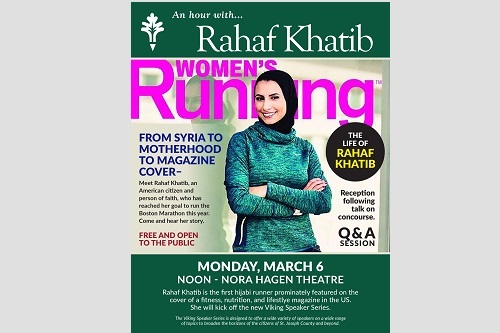 Glen Oaks Community College will host Rahaf Khatib, the first hijabi runner prominently featured on the cover of a fitness, nutrition and lifestyle magazine in the United States on Monday, Mar. 6 at noon in the Nora Hagen Theatre. Khatib is a six-time marathon runner who is currently training to run in the Boston Marathon this April. Khatib was born in Damascus, Syria, and immigrated to the United States in the 1980s with her parents. Today, she is an American citizen and resident of Farmington Hills, Michigan, who has a mission to inspire other Muslim women to get active. 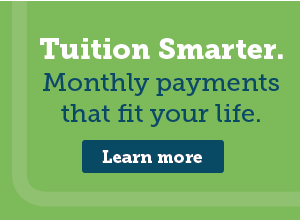 The College Council at Glen Oaks recently made a decision to reinstate a speaker series program. This event will is free and open to all faculty, staff, students and community members.